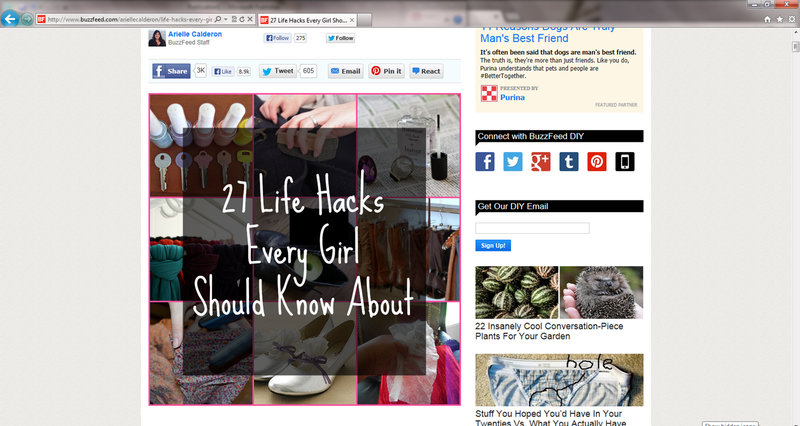 I just want to thank Arielle Calderon and Buzz Feed for featuring one of my posts in their “27 Life Hacks Every Girl Should Know About”. 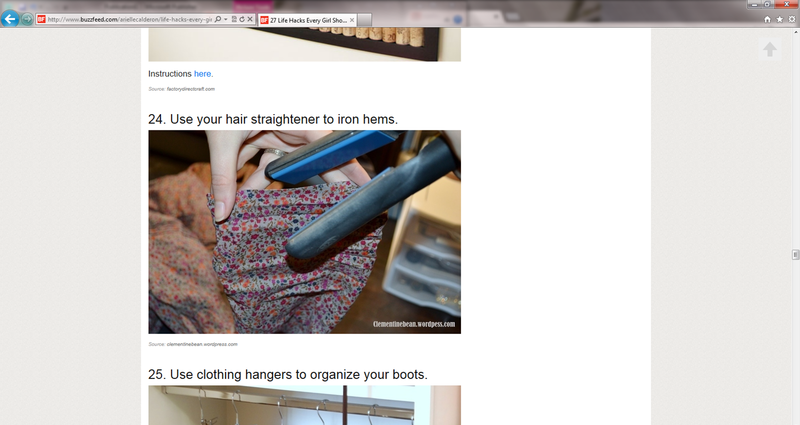 Here is the link to my original post on how to use your hair straightener to iron your clothes! So exciting to see that someone is reading my blog AND thinks I have a good idea! Hi I'm Jenna. My husband is Jeff. Welcome to our corner of the internet. I love chocolate, Jesus, adventures, beauty, cooking, healthy food, travel, and home decor. This is my place to document my life and hopefully inspire others. © Clementine Bean, 2013. Unauthorized use and/or duplication of this material without express and written permission from this blog’s author and/or owner is strictly prohibited. Excerpts and links may be used, provided that full and clear credit is given to Clementine Bean with appropriate and specific direction to the original content.